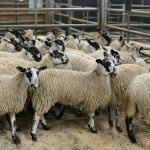 The Institute of Auctioneers and Appraisers in Scotland (IAAS) has welcomed a decision by DEFRA on changes to EU TSE regulations which allow for alternative methods of ageing sheep other than dentition. 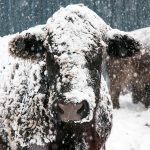 Earlier this year the European Commission proposed amendments to the list of small ruminant specified risk material (SRM), and ageing method for the purposes of SRM removal in the TSE regulations. 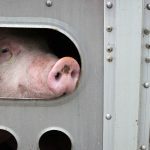 The IAAS raised concerns that a cut-off date of 31 May might not be the best solution for Scotland, suggesting 30th June would be more suitable. Ministers have now agreed on a UK-wide cut off date of 30 June. 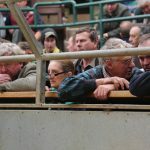 The Food Standards Agency will now work with DEFRA and devolved stakeholders to agree the practical details of implementing the system of ageing sheep by cut-off date in abattoirs, in time for the 2019 season. It is understood this will cover the 2018 lamb crop, meaning that old season lambs/hoggs will not need to have their teeth checked and will be deemed to be under 12 months of age up to the 30th June, the year after birth. Lambs/hoggs presented for slaughter from the 1st July will be deemed to be over 12 months of age and the carcasses will be required to be split. There will be no extended option for mouthing the sheep after this date. “The IAAS and our membership welcome DEFRA’s decision which recognises differences in our lambing practice north of the border. 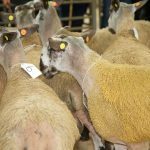 “Scotland generally has a later lambing period than England and Wales and there can be a considerable number of hoggs to market in June. We do not want to devalue these hoggs and sticking with the 31 May cut-off would not have been the best option. The amendment will result in a relaxation of current specified risk material (SRM) controls in small ruminants aged over 12 months. This means that the spleen, ileum and tonsils would no longer be regarded as SRM and could therefore go into the food/feed chain. It also allows for provisions to estimate whether small ruminants (sheep or goats) are over 12 months of age by a method approved by the competent authority in the member state where slaughter took place.